Sacking Bags, woven wholly from jute fabrics, are available as plain and twill bags. 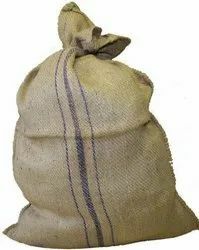 Jute bags, the other name for sacking bags are mainly used to pack cement, sugar and other bulky articles, which are packed in weight range from 50 to 100 kgs. These are tailored as per customer's specifications in terms of size and to meet the ever-increasing demand of jute bags in the farm sector, agro-based industries and cement industries. We are one of the trusted manufacturers and exporters of an extensive range of Sacking Bags. Specially woven from jute fabrics, these bags are available in different sizes and designs. Besides, these bags are also offered in plain and twill types and find wide applications in packaging of Sugar and Cement.